Reta Smith-Kerr, 83; of Fulton passed away at Seneca Hill Manor, Volney, NY. She was born in New Haven, NY to the late Kenneth and Hulda (Raymond) Cronk. Reta remained a resident of Fulton for most of her life. She was past employed with Vona’s Restaurant, Oswego and worked as a Mary Kay Beauty Consultant for 30 years. 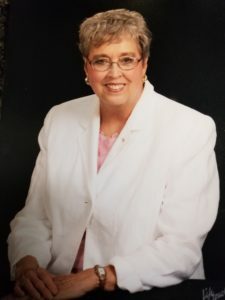 Reta was a longtime member of the Fulton Alliance Church having become a Deaconess. She continued her journey in faith through her volunteer work and bible study. Reta enjoyed crafts and painting. She is survived by her children: Craig (Julie) Balcom of Red Creek, NY, Larry (Jo Anne) Balcom of PA, and Kim (Byron) Sizemore of Minetto, NY; siblings: Alan (Bev) Cronk of AK, Les Cronk of OK, Lyle (Diane) Cronk of AK and Joann (Farhan) Sheikh of Albany, NY; 8 grandchildren, 17 great grandchildren, 1 great great grandson and several nieces and nephews. Funeral Services will be conducted 11:00 AM Thursday, February 7th at the Fulton Alliance Church. Burial will be held privately. There will be no calling hours. The Sugar Funeral Home, Inc., 224 W. 2nd St. S., Fulton has care of the arrangements. Donations may be made Fulton Alliance Church, 1044 State Route 48 Alliance Church Dr., Fulton, NY 13069. Thank you for sharing Aunt Reta with us over the years. What a special lady! It was always a joy to see and visit with her even though we did not get the opportunity often. Our thoughts and prayers are with you all. A wonderful lady who will be greatly missed. I loved my sister-in-law very much. So many memories of fun times at Cronk Family reunions & weddings, and especially when Reta & Bev stayed with me in McMinnville for a few weeks in April 2012. My deepest sympathies go out to Craig, Larry & Kim, and Alan, Les, Lyle, and Joann.